Spring has finally arrived and homeowners are emerging from their dens and beginning to venture outdoors once again. If you're like most people, you're already working on your exterior plans, be it home or cottage. When it comes to researching and shopping for solar lights, here are some questions to ask and information to look for. Remember, having a solar lighting plan is one thing... getting the right products for the job is quite another. 4. Longevity. How many hours of light can you look forward to enjoying? 5. What's the lighting footprint? How wide an area will the solar light you're consider light up? Two feet? Three feet? Our VICTORY2, for example, will cover up to 16' of beautiful soft light. 6. How many years are they rated to last? free-light solar panels are rated for 20 years of use compared to others that fade or yellow in a short time. 7. Are the electronics weatherproof? 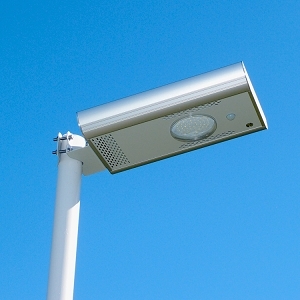 free-light uses weatherproofed electronics for long life while most competitive lights have a short life time. 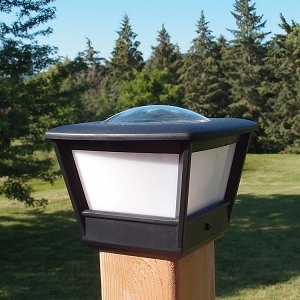 Check out our fence post solar light caps. 8. Design. Is the design of the light in keeping with the architectural features of your property or landscape? free-light solar lighting products come in several styles, heights and designs from classic to contemporary. Check out this new Driveway Solar Light. 9. Support. Is there a phone number you can call to ask questions? At free-light we love hearing from customers and welcome your questions. They will be answered by a live, solar light knowledgeable customer service professional. 10. Cost. What's the price? We are not the least expensive solution in solar lighting products, but we are certainly the best. Remember... you get what you pay for! Shop. Compare. Buy free-light. Rejoice! Check out the free-light catalogue of quality solar lighting products. Some of them are ON SALE right now! See free-light at the Windsor Home and Garden Show! Friday, April 7 - Sunday, April 9 - Booth 109.